Ready to stop living paycheck to paycheck and become more financially secure? 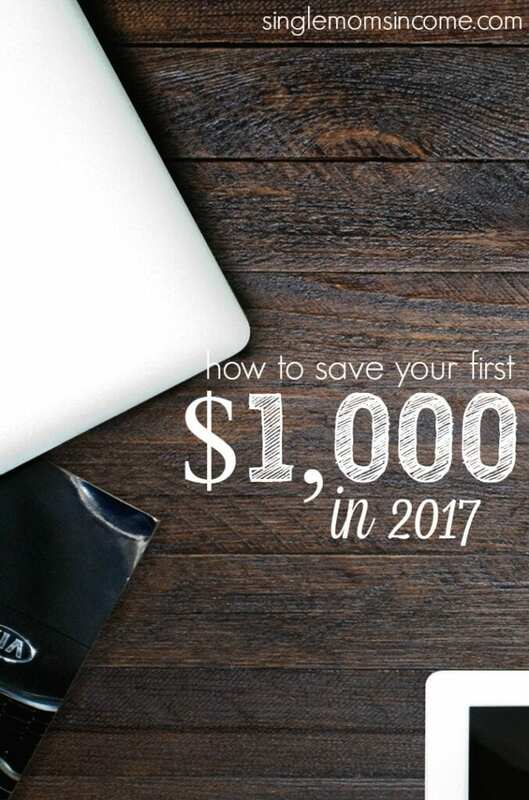 A new year is right around the corner, and if you haven’t saved your first $1,000 yet there’s no better time to get started. 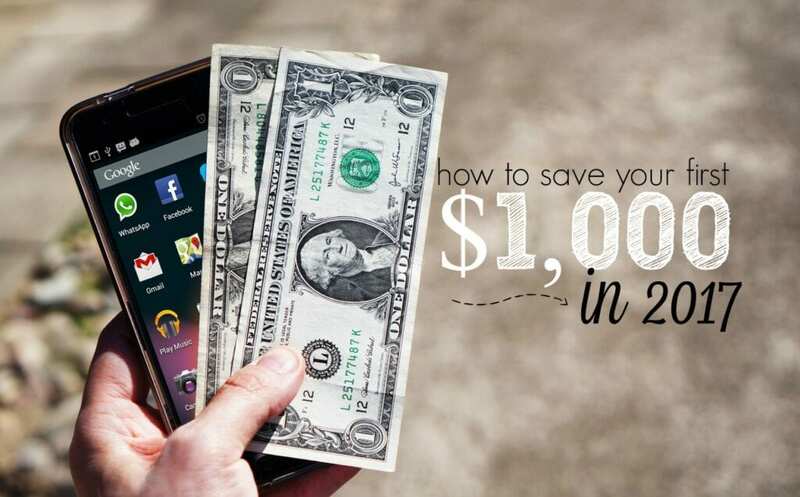 Saving your first $1,000 may seem difficult, but it’s instrumental in terms of your financial success. Plus, saving will most likely become addicting once you reach your goal. Setting aside extra money for emergencies and unexpected expenses is a must. Even just starting with $1,000 in your savings account, you will be well on your way to avoiding debt. Here are a few ways that you can put $1,000 in your savings account well before the end of next year. Have you ever felt like your paycheck literally evaporates shortly after pay day? You’re not alone. It’s important to focus on keeping as much of your paycheck as you can so you can control what you do with it. When you have high living expenses, debt payments, and expensive habits, it can become quite difficult to hold onto enough of your to contribute to a savings account each month. In order to get back more of your paycheck, you can cut or reduce an expense, ask for a raise or get promoted, or even ask your employer to withhold less of your paycheck by claiming fewer dependents. If you always get a sizable refund and tend not to use it responsibly, opt to lend less money to Uncle Sam and use it to deposit into a savings account each month instead. When it comes to debt, your main focus may be to pay if off ASAP, but you should also consider the risks you are taking by not having any money saved up in the event of an emergency. According to the Federal Reserve Board, nearly half of Americans would have trouble finding $400 to pay for an emergency. That’s a scary realization. If you are doing well in terms of debt payoff, that’s great. But your progress will be hindered if you run into any unexpected expenses and don’t have the money to pay for them. Then, you might need to use a credit card or take out a loan which would add to the amount of debt you have. Paying off debt and saving are two very important priorities but it’s better to be safe than sorry as financial guru Dave Ramsey recommends setting aside at least $1,000 in a savings account before you crush your debt. If you dislike clutter, try selling some items in your home that you no longer want or need instead of just putting them out on the curb. If your kids have old clothes or toys, or if you have old furniture, electronics, books, etc., you’d be surprised at what people might buy. You can sell your items by hosting a yard sale or you can sell them online via eBay, Amazon, or Craigslist. Utilizing local buy-sell-and-trade Facebook groups is also a great way to cash in on some of your old items. Also, so local resale shops might buy things from you. I know in my area there is a store that buys used exercise equipment and a store that buys used furniture from people. My husband and I recently dropped off our old coffee table and we received $12 for it. As always, getting a second job or establishing a side hustle is one of the best ways to earn extra money so you can save more. When you earn more money, it’s tempting to use your earnings on other wants or expenses. Therefore, you must be pretty disciplined and try to deposit most or all of your extra income straight to your savings account until you reach a balance of $1,000. When it comes to choosing a side hustle you must determine what your skills are and a job you can see yourself doing long-term and enjoying. 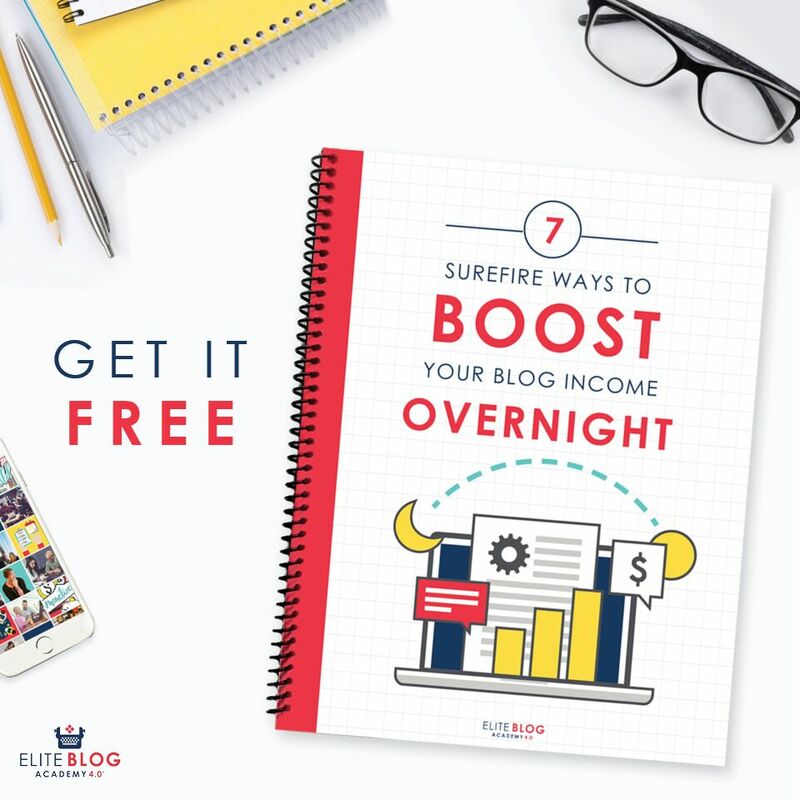 Given the digital world we now live in, there are numerous ways to earn a flexible income online and we’ve covered many of them here on Single Moms Income. Now that we’ve determined different ways to obtain extra money that can be contributed to a savings account, you’ll need to choose a specific savings strategy to help ensure you stay on track when it comes to meeting your goals. Here are just 3 different options you can choose from. If you’d rather meet your savings goal sooner rather than later, aim to meet it before the halfway point in the year. This is what I did with my savings goal last year and it worked out well. At the beginning of the year, we tend to start out so strong and have lots of motivation and dedications. That can wear out as the year goes on and your circumstances may change. If you want to meet your savings goal fast, set a reasonable target amount to set aside each month, then set up automatic transfers to ensure you meet your goal. For example, if you commit to saving $250 per month, you can meet your goal of saving $1,000 in just 4 months if you start in January. If you’d rather not rush to the finish line, commit to meeting your goal by the end of the year and setting aside a smaller amount of money. Saving $100 a month is an easy target to commit to you and can still meet your goal before the end of the year if you start in January. How much you’re able to save heavily depends on how you budget your money. The 50-30-20 rule is a great basic budgeting strategy. Basically, you dedicate 50% of your after-tax income to necessities like your living expenses, utility bills, groceries, transportation, etc. Then, you dedicate 30% of your income to wants and lifestyle choices like dining out, entertainment, a gym membership, etc. Finally, 20% of your income goes toward savings goals and debt payments. By using this strategy you can boost your savings account by implementing a balanced budget so you still have money for necessities and other fun expenses. Have you set your savings goal for next year yet? How have/will you save $1,000? Interesting and quiet easy ways to save!!! Hey, great article with tons of useful information! I especially like the 50-30-20 rule, simple but very effective. Automation is the key. Out of sight, out of mind. We have so many financial goals we hope to achieve in 2017. We have been decluttering and selling, but I want to do more in the new year. These are great tips to help save! Wow this is a very nice tips. Thank you so much please keep it up continue.